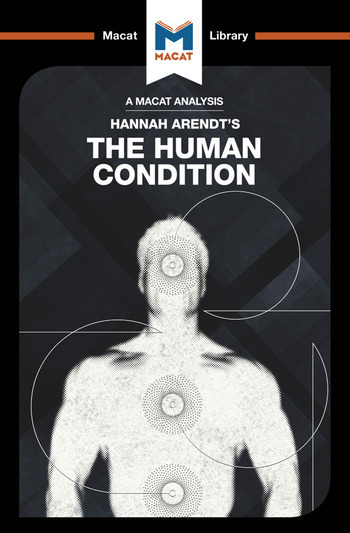 Hannah Arendt’s 1958 The Human Condition was an impassioned philosophical reconsideration of the goals of being human. In its arguments about the kind of lives we should lead and the political engagement we should strive for, Arendt’s interpretative skills come to the fore, in a brilliant display of what high-level interpretation can achieve for critical thinking. Good interpretative thinkers are characterised by their ability to clarify meanings, question accepted definitions and posit good, clear definitions that allow their other critical thinking skills to take arguments deeper and further than most. In many ways, The Human Condition is all about definitions. Arendt’s aim is to lay out an argument for political engagement and active participation in society as the highest goals of human life; and to this end she sets about defining a hierarchy of ways of living a “vita activa,” or active life. The book sets about distinguishing between our different activities under the categories of “labor”, “work”, and “action” – each of which Arendt carefully redefines as a different level of active engagement with the world. Following her clear and careful laying out of each word’s meaning, it becomes hard to deny her argument for the life of “action” as the highest human goal. Dr Anthony Lang is Head of the Schook of International Relations at the University of St Andrews.His work focuses on questions of agency, responsibility and punishment in political theory. Dr Sahar Aurore Saeidnia is a doctoral researcher at the Institut de recherche interdisciplinaire sur les enjeux sociaux, of the Ecole des Hautes Etudes en Sciences Sociales in Paris (EGESS-IRIS).